New research from Mintel finds that following consumer demand, the number of pizzas launched globally with a gluten-free claim soared 58% between 2012 and 2015. What’s more, the number of pizza launches containing rice flour as an alternative ingredient to wheat increased from 78% to 90% between 2014 and 2015. The rise in gluten-free pizza launches comes as a result of the growing demand for wheat alternatives, as one third (32%) of French, 28% of Polish and 22% of German consumers say they would like to see a wider variety of gluten-free pizza. In Italy this number increases to a staggering 44%, while over half (51%) of Spanish consumers say they want more gluten-free pizza options. Yet while interest in gluten-free pizza varieties appears to have increased, just 2% of French, 3% of German, 3% of Polish, 5% of Spanish and 8% of Italian consumers actually bought gluten-free pizza in 2015. Mintel research indicates that innovation in lactose-free claims could be the next step for pizza launches. Almost half (47%) of consumers in Spain say they’d like to see a wider variety of dairy-free pizzas, followed by 39% of consumers in Italy, 31% in Poland, 30% in France and 20% in Germany. While there is certainly a lot of activity going on in the global pizza market right now, what’s surprising is that even though the US has held the crown as the most innovative pizza market for years, France now leads the way in retail pizza launch activity. 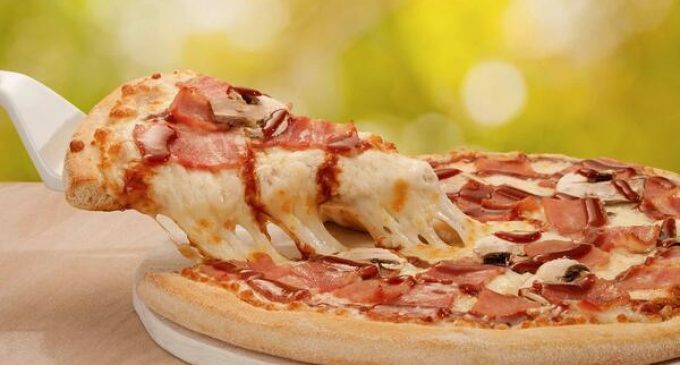 Indeed, Mintel research reveals that France is responsible for the largest slice of pizza product innovation in 2015, accounting for 11% of all new pizza launches, up from 9% in 2011. Meanwhile, the global share of newly introduced pizza products in the US has almost halved over the same period; the US accounted for one in ten (10%) new pizza launches globally in 2015, compared to one in five (19%) in 2011. What’s more, whilst over one in four (28%) pizzas launched in 2011 came from North America, the drop in product innovation in this region means that overall North America accounted for just one in six (15%) pizza launches in 2015. Indeed, Europe dominated the sector in 2015 accounting for nearly two thirds (65%) of launch activity, up from 58% in 2011. Whilst France held the highest proportion of launches (11%), this was followed by the US (10%), UK (10%), Spain (8%) and Germany (6%).